Montrose is a bustling coastal town with an ancient history and one of the widest High Streets in Scotland with a variety of great shops. 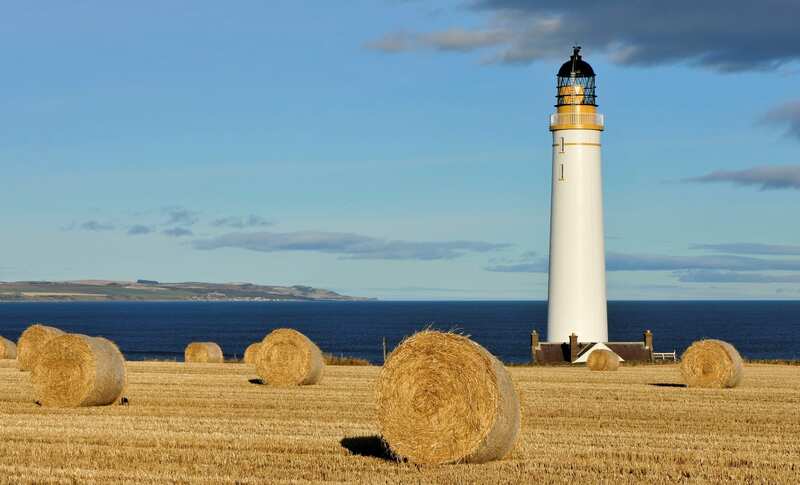 Scurdie Ness Lighthouse has been protecting shipping along the coastline for almost 150 years and continues to guide ships and boats to this day. Find out more about Bamse, the Norwegian St Bernard dog who was a crew member in WWII stationed in Montrose. Bamse was a firm favourite with the locals and was eventually buried in the sand dunes on the banks of the River South Esk. Montrose has lots of things to see and do including visiting the House of Dun, a stunning Georgian mansion dating back to the 18th century, Montrose Basin Visitor Centre,where you can enjoy stunning views of birds and other wildlife, and Montrose Air Station Heritage Centre, site of Britain’s first operational military air station which was established in 1913. Take the kids to the Seafront Splash or Charleton Fruit Farm and enjoy playing outside. View the Montrose webcam which takes in the beautiful views across the Basin. Take at look at our suggestions for things to see and do during a Day Out in Montrose.